A reducer is a component in a pipeline that reduces the pipe size from a larger to a smaller bore (inner diameter). A reducer can be used either as a nozzle or as diffuser depending on the mach number of the flow. A reducer allows for a change in pipe size to meet hydraulic flow requirements of the system or to adapt to existing piping of a different size. Reducers are usually concentric but eccentric reducers are used when required to maintain the same top-or bottom-of-pipe level. An eccentric reducer is a fitting used in piping systems between two pipes of different diameters. They are used where the diameter of the pipe on the upstream side of the fitting (i.e. where the flow is coming from) is larger than the downstream side. 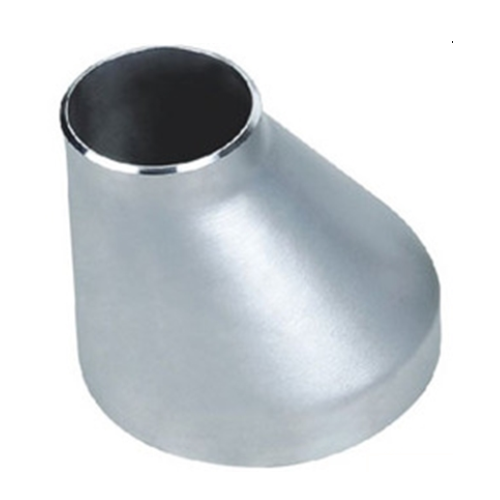 Unlike a concentric reducer, which resembles a cone, eccentric reducers have an edge that is parallel to the connecting pipe. This parallel edge results in the two pipes having offset center lines. The same fitting can be used in reverse as an eccentric increaser/expander. Horizontal liquid reducers are always eccentric, top flat (unless on control set, same as PV, TV, HV, LV) or (pipe rack), which prevents the build-up of air bubbles in the system. Eccentric reducers are used at the suction side of pumps to ensure air does not accumulate in the pipe. The gradual accumulation of air in a concentric reducer would result in a large bubble that could eventually cause the pump to stall or cause cavitation when drawn into the pump. The word eccentric in regards to piping is commonly pronounced "e-sentrik" (spelled "ecentric"). This has become an industry standard and is widely taught in schools. We, Ratna Exports, was founded in the year 1981 as the prominent manufacturer, supplier, exporter and distributor of Ferrous and Non Ferrous Metal Products. Offered range of products includes Industrial Pipes, Screwed Pipe Fittings and Industrial Pipe Fittings, manufactured as per the industry set norms and are offered with the assurance of qualitative configuration. These products are offered to cater to the diversified industry needs such as refineries, power plants, petrochemicals, oil & gas, mining, steel plants and others. We have brought forward these products, utilizing in-depth industry experience of our professionals and detailed market analysis. We are exporting our products to all over the world. We have been able to offer our customers, a qualitative range of products, backed by our vast infrastructural facility and with the use of proven methods. We have assorted advanced range of machinery at our workplace, so that the offered outcome is flawless in nature. Our professionals have innovative engineering skills, and by using their ideas, successfully perform their assigned tasks. We ensure the continuous up gradation of technology used in our workplace, so that clients’ desired requisites are fulfilled in a cost-effective manner. Our products are world-class, thus, offering customers economical solutions for their needs.